Ladies and Gentleman welcome to ....................... The Rock! After almost 10 months we have arrived in Gibraltar, the gateway for many UK Naval ships to the Med or like us the gateway back home. 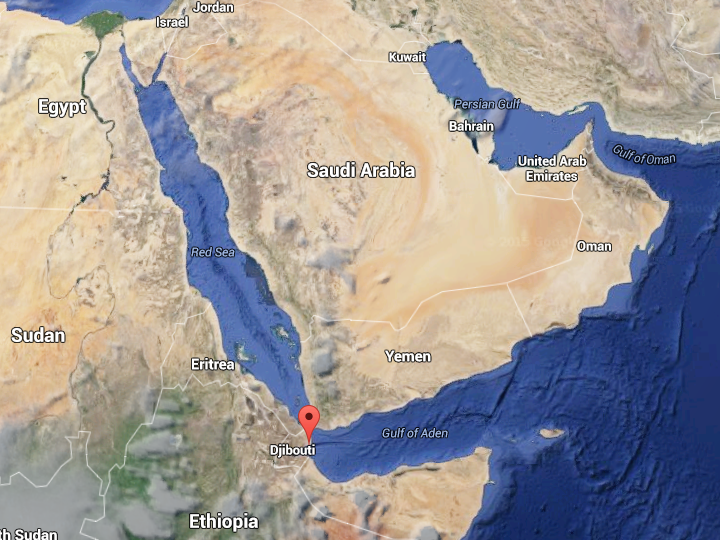 We finally left Duqm and after some more of the exercise we finally made our way down the Gulf of Aden, heading towards the Bam el Mandeb, the choke point into the Red Sea where the chances of being attacked is always a possibility. 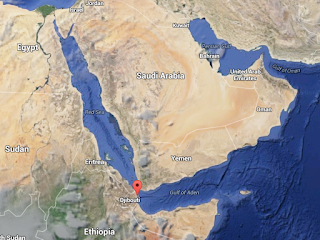 Even whilst we have been away deployed, Saudi Naval ships have been attacked and sunk here. I've kept my training mainly to the gym, and although the temperatures have started to drop, the gym is still at the time I've been training anywhere between 30-34 degrees. To be honest, it's going alright on the treadmill so far. I've not had any niggles recently in my calves which only really seem to be caused when running on the ship's treadmills. I have started to bring in reps of steps in my sessions, and I'm hopefully going to be able to build up on this until I can get back to the coastal paths back home, where there is no shortage of steps. I'm starting to build on my plan for the Arc of Attrition, making sure I keep my goals smart. My main goal and always has been is to make it to the start, I missed out this year, due to short notice deploying on this trip. Once I'm on that start line, with some of the best runners in the world and also my friends you will see me with a nervous but very big small on my face! Nothing really else matters after that, it really doesn't. Our trip after the Bam took us up the Red Sea and through the Suez Canal before taking a left wheel and heading to our final port of call prior to home and after 4 weeks at sea it was Gibraltar. Now apart from Monkeys, Gib is also renown for the Rock. In good Naval tradition, the ship organised its usual Rock Race. Getting some step reps in! The Rock Race is a 2.7ish mile race from pretty much sea level to 1300ft to the top via a road. Now most entrants are usually still in their clothes from a night of drinking in the town, and mostly in fancy dress. There are some serious racers who like to put in a fast time with the record being around 17 ish minutes and has stood since 1986. I've run this race many times in the past, some worse for wear and some not so. The last time I did it, I ran it 3 times in a row for fun. This time, I just decided to run up and back down and enjoy it. Whilst doing so I filmed it and took in the sights and atmosphere as I go. However it was an early start once more so were clear of the first road section in good time for the traffic. It was dark, the wind was strong and it was miserably wet. There were two ships in, ourselves and another but surprisingly not many ran from both ships. Maybe the weather put them off, usually even if they were hanging from the night before most would still give it a go. There was unlikely to be much of a film made from it, but I was going to see what I could do. After a safety brief we were off, although it was meant to be after three honks of the vehicle horn, that didn't happen so we just went when someone then said go. As soon as you head out of the dockyard, you turn left and follow the road then right through the tunnel. You hit the first round about the Trafalgar Pub and turn right before hitting the next round about turning left and that's when it's all up hill. The incline isn't steady it's a calf burner for sure, my achilles were starting to hurt more than my calves though as the climb went on. I went off at a steady pace, as I wasn't in any rush and I was soon over taking people as they slowed to a walk as the climb went on. Eventually we hangered left and came off the main road and made our way up the tarmac path in the Rock grounds. Just as you get to the top of a climb, you sharp turn the other way and carry on zig zagging up. Even as I made my way up, it was still dark. In the past usually the sun has come up and the temperature rose, but not today. It remained dark all the way, at some points you could over see the dockyard looking into Spain and the lights shinning but that was it. At the top with great views in the background......Not! I made it to the top eventually, and was sad there were no views to be had at the top. It was foggy, and you couldn't even see the finish line until you actually got there. I saw a silhouette of a monkey near the finish but they too were hiding from the weather. The skies opened at the top and it hammered it down. I didn't hang around at the top for very long, I made my way down giving my legs a good stretch as I ran down back to the ship. So that was my last foreign run on this adventure, the next time I step on dry land will be back in Blighty as I continue my training towards the AoA and London Marathon. I will do a final blog once home to round the trip up but for now, I'm looking forward to coming home and seeing my family and running in the rubbish weather. It's been a very long 10 months and I can only thank my readers for your support these last 10 months. Also again a big thanks to Tailwind Nutrition UK and my fellow trailblazers for their continued support.